With our steps we are helping to keep the path open! Along the way we will also cut back any vegetation which has grown back to block the path. At the end of the hike we can have a swim and a meal together ! Gloves, a hand-saw and water proof shoes will come in handy. 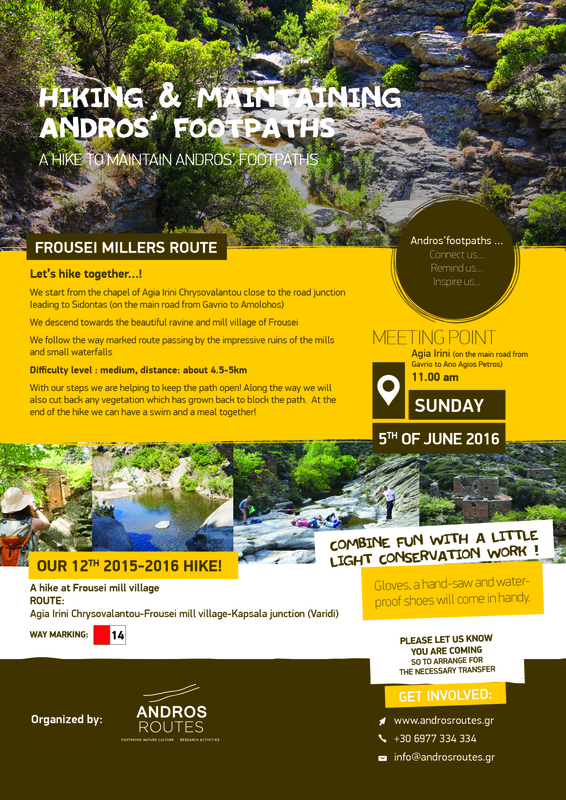 1-8th April 2016: Report of the trip of Dutch volunteers in Andros for cleaning... New map of Andros !